This year it is time to celebrate the achievements of Europe’s premier business women, to learn from them and to inspire others to follow their outstanding example. 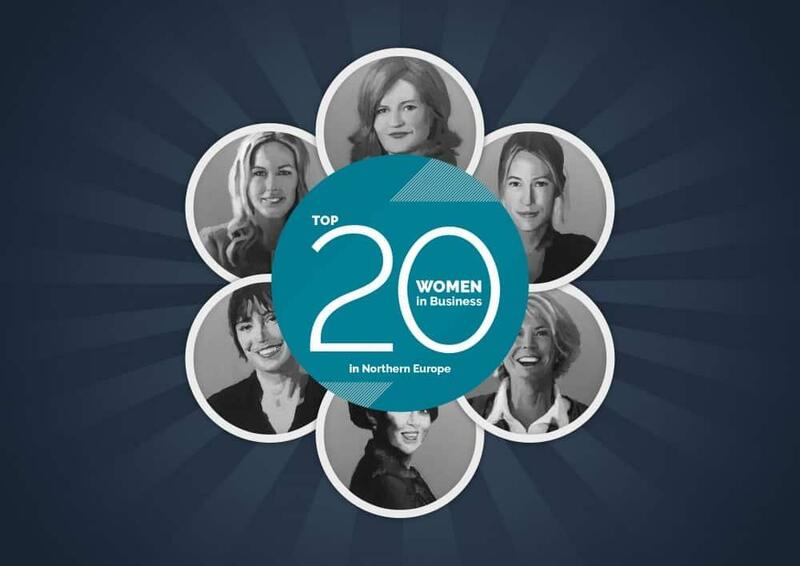 We had the privilege of calling on the keen insights from experts in nine countries – Finland, Sweden, Norway, Iceland, Denmark, Estonia, Latvia, Lithuania and Russia – to single out Northern Europe’s Top 20 Women in Business. Natalya Kasperskaya is the chief executive of the Russia-based transnational corporate data security firm InfoWatch Group. The company is now the leader in the Russian data security arena with a market share of about 50 percent. That makes her one of Europe’s most prominent women in the traditionally male-dominated information security community. InfoWatch was previously a subsidiary of the anti-virus company Kaspersky Lab, which she co-founded with her former husband in 1997. During her ten-year tenure at Kaspersky Lab, she became board chair and was instrumental in transforming the company from a start-up into a global player in the field. In 2007, Ms Kasperskaya relinquished involvement with Kaspersky Lab and took over at InfoWatch, which also split from Kaspersky Lab at the time. Under her stewardship InfoWatch has steadily expanded by way of a number of strategic acquisitions and now comprises a group of five companies that has become a market leader in the corporate data security segment in Eastern Europe, the Middle East and Asia. Ms. Kasperskaya is not content to merely rest on her laurels however. She is actively working to further expand the group and is pursuing new investment opportunities in areas such as IT security and artificial intelligence for enterprise clients. Ms. Kasperskaya’s accomplishments in business and IT have been recognized by a number of organizations in Russia and abroad. In 2011 she was named Russian Business Leader of the Year, and one year later she was designated among the Top 1000 IT Managers in Russia. In 2014 she received an award for the Best Technology Business Entrepreneur from Women in Technology MEA award committee in Dubai and was nominated as the Most Influential Business Person from Russia during the first quarter of 2015 by BRIC Magazine UK. With her net worth estimated at USD 230 million Ms Kasperskaya was named Russia’s eighth wealthiest woman by Forbes Russia in 2014. Ranked Russia’s third wealthiest woman in 2014 by Forbes business magazine with an estimated net worth of USD 380 million, Tatiana Bakalchuk is the owner of the country’s largest online clothing and footwear retail empire, Wildberries. Ms Bakalchuk founded the business back in 2004 while on maternity leave after the birth of her daughter. Since that time, the former private English teacher has worked tirelessly to increase the reach and breadth of the business. Today, the company operates not only in Russia, but has also expanded to Belarus and Kazakhstan. From its humble beginnings providing customers with German catalog selections from an apartment warehouse with Ms Bakalchuk herself making deliveries, the company now caters to 2.5 million customers and offers more than 1,000 brands. Wildberries serves its customers from 150 shipment points across Russia and employs more than 6,000 workers. Part of the secret of Ms Bakalchuk’s success lies in understanding and catering to customer behavior – Wildberries is one of the few online retailers to offer customers a free fitting of its products. The risky yet profitable business model has seen the company grow from strength to strength. Fearless business woman Mette Lykke showed she could walk the talk when she traded in a comfortable position at the international consulting firm McKinsey for the risks of entrepreneurship. Ms Lykke and two business partners co-founded the fitness tracking app Endomondo in 2007 and by 2014 had grown the community-based venture to reach 25 million users. As chief executive she successfully orchestrated the company’s acquisition for USD 85 million by the US-based athletic apparel manufacturer Under Armour, where she is now vice president. 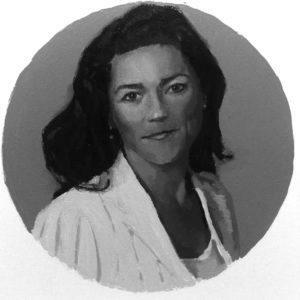 Before her steep rise to business success, Ms Lykke worked as a journalist and researcher for a major Danish daily newspaper while pursuing a master’s degree in political science at Aarhus University. She was later recruited by McKinsey & Co as a management consultant. The rest, as they say, is history. In 2013 she received the Female Business Owners’ Inspirational award and in 2012 was granted the Founder of the Year award by the Nordic Startup Awards series, which celebrates startup ecosystems based in the Nordics. With more than 16 years at the helm of the financial services company Collector AB and over 30 years in the financial sector to her credit, Lena Apler is an undisputed heavyweight in the field. It is therefore no surprise that she led the list of the top 15 women entrepreneurs in 2015, as ranked by Business Week Sweden. After more than 15 years in senior positions in leading banks and five years at the state-owned market stabilizer Securum Finans, Ms Apler co-founded the financial services company Collector AB. Since then she has steered the company to sustained profitability and most recently, guided it through an Initial Public Offering (IPO) on the Stockholm Stock Exchange in 2015. In June 2015 NASDAQ OMX Nordic quoted the company’s market cap in excess of SEK 6.3 billion. In 2014 she stepped down as Collector President and CEO. A trailblazer in her field, Ms Apler is keenly interested in gender equality and advocates for equal remuneration for women. She works with the NGO Hand in Hand Sweden to help vulnerable women achieve self-sufficiency through entrepreneurship. Described in her native Sweden as “a passionate entrepreneur”, Monica Lindstedt has displayed great vigor and perseverance in leading her household services business to become the leading company in its sector locally. Like many great entrepreneurs, Ms. Lindstedt drew on her personal experiences to establish the home care services company Hemfrid (Peace at Home, in English) in 1996. Since that time, she has been able to expand the company – it now posts revenues of over SEK 500 million and employs more than 1,000. In 2003 Ms. Lindstedt gave up the post of chief executive and became the company’s chairman. She is also the chair of Företagarna AB, the Swedish Federation of Business owners and sits on the boards of Uniflex AB and UNICEF Sweden. Prior to establishing Hemfrid, she co-founded Europe’s free daily paper Metro in 1995. She later sold her stake in the paper. In 2013 she was named the winner of Sweden Toastmasters’ Golden Gavel award for outstanding performance as a chairman. 7. Filippa Knutsson, 49, Sweden – Founder, Filippa K.
Filippa Knutsson is the name and face behind the leading Scandinavian clothing brand Filippa K. Ms Knutsson herself has been immersed in the clothing and fashion industry for many years. Having spent her formative years in London, she returned to her native Sweden to work in her family’s fashion business. She later came together with two business partners to establish the Filippa K line in 1993. Based in Sweden, in just over 20 years the brand has expanded to fashion outlets in 20 markets and 50 brand stores across the Nordics as well as in the Netherlands, Belgium, Germany and Switzerland. The men’s and women’s lines can also be found at over 600 of other retailers worldwide. In 2014 turnover exceeded EUR 70 million. 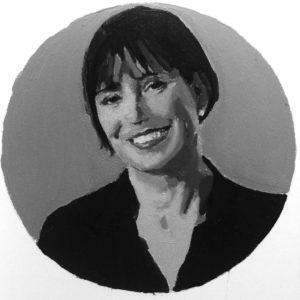 Ms Knutsson has been deeply involved in orchestrating the success of the Filippa K fashion lines and supervises all of the brand’s creative aspects, including conceptualization, design, retail concepts and brand communications. Ranked as one of the most powerful women in Europe by the influential business magazine Fortune, Olga Pleshakova has occupied a prominent position in the civil aviation sector for some time. She is a graduate of Moscow Aviation Institute, where she graduated with a doctorate in engineering. She has been chief executive of Tansaero Airlines since 2001 and also sits on the company’s board. The airline is a family-owned concern, is the largest private air carrier Russia, and is second in size only to the state-owned Aeroflot airline. Ms Pleshakova owns an 18.4% stake in the airline and her personal worth was calculated at around USD 170 million in 2014 by Forbes Russia. In the same year Fortune Magazine named her the 20th most powerful woman in the Europe, Middle East and Africa region (EMEA), making it her third appearance in the global ranking of influential women. She was the only Russian woman to have made the EMEA list in 2014. Board-level powerhouse Sari Baldauf doesn’t only wield influence in the upper echelons of corporate circles, she also dedicates much of her time to the third sector, where she helps mentor young adults and provides support for the startup scene through programs such as social entrepreneurship. She also seeks to use culture as a means of improving quality of life and is the chair of the Savonlinna Opera Festival in Finland. Ms Baldauf sits on the boards of high-profile companies such as Daimler, AkzoNobel N.V., Deutsche Telekom AG, and Fortum, where she became the first woman to be appointed chair in 2011. She also previously held a position on Nokia’s executive board and was instrumental in the company’s rise to command the lion’s share of the global mobile phone market in the 1990s. In 1998 Fortune magazine dubbed Ms. Baldauf the most influential female executive and in 2002 she was named one of Europe’s most successful female executives by The Wall Street Journal. Currently chief executive for Innovation Norway, the Norwegian state business innovation and development agency, Anita Krohn Traaseth has built up an impressive professional pedigree over the years. 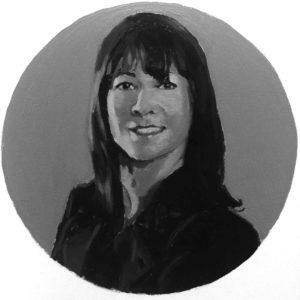 Her most recent assignments include positions as managing director of Hewlett Packard, board member and managing director of Intelligent Quality AS and managing director of Simula Innovation AS. Ms Krohn Traaseth’s track record and extensive business network have polished her high profile on the Norwegian business scene. Already voted one of the Top 25 Young Business Talents in 2005, she was later ranked among the top 40 potential leaders in business, politics and science in 2009. Further recognition came in 2012 with the award of the Od@ prize for best female leader in ICT and in 2013 with the Social Media Personality award. She is very active on the lecture circuit and has authored the book “Good enough for the ‘bastards’ – confessions of a female leader“. With more than 25 years under her belt in the travel industry it’s no surprise that Pia Vemmelund has worked her way to the top of one of the fastest-rising online travel and destination service providers, Momondo. 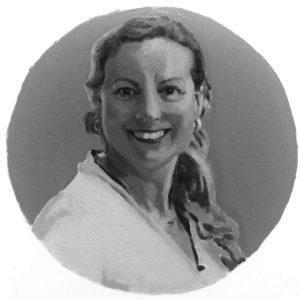 Before joining Momondo, Ms Vemmelund spent 19 years with the Scandinavian airline SAS, where she held several positions, including Director, Commercial Intelligence and Sales Support. In 2007 she moved to Momondo and took on the hefty portfolio of commercial manager with responsibility for sales, online marketing, finance and administration. By 2012 she had become the company’s managing director and was made a member of the board in 2013. As Momondo chief executive Ms Vemmelund has played a central role in securing financing for the venture. In 2014 she helped negotiation a USD 130 million investment in Momondo by the venture capitalist Great Hill Partners. 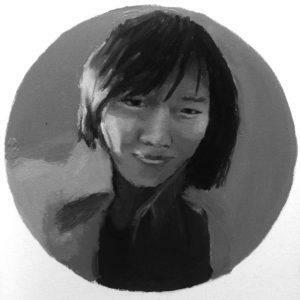 She is also a board member of Greenland Travel and the Danish online bargain aggregator Bownty. 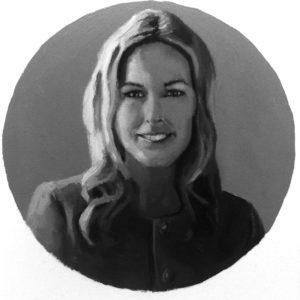 Kristin Skogen Lund has often been cited as a rising star in Norwegian business circles – in 2011 and 2012 she was ranked Norway’s most influential woman in business by the local business magazine Kapital. Fortune magazine listed her as one of the 50 most powerful women in business in 2011 and she also featured among the “10 Global Women on the Rise”. Ms Lund currently wields considerable influence as the Director General of NHO, the Confederation of Norwegian Enterprises. She is also a former Executive Vice President of the Norwegian mobile operator Telenor, and has previously held top positions at the leading daily Aftenposten, Scanpix, and Scandinavia Online. Global brands such as Coca Cola and Unilever also feature on her resume. She also served in the diplomatic service at the Norwegian Embassy in Madrid. Ms Lund is currently a board member of Ericsson and was president of the Confederation of Norwegian Enterprise and a board member of Orkla ASA, among other companies. Berit Svendsen’s professional training in electronics, technology and technology management in Norway and the United States dovetail perfectly with her career at the Norwegian company Telenor, one of the world’s largest mobile operators. Ms Svendsen joined the company in 1988 as a research scientist, before becoming executive vice president and chief technical officer as well as working chair of the company’s R&D unit. As vice president and head of Telenor Nordic Fixed she assumed responsibility for the fixed network business in Norway. She joined the secure content company Conax as CEO in 2008. Since September 2011, Svendsen has been the Executive Vice President in Telenor and CEO of Telenor Norway. Svendsen is also a board member of the financial services company DNB and market data provider Bisnode. Between 2002 and 2007 she served as a member of the European Commission’s Information Society Technology Advisory Group. Ms Svendsen has also tried her hand at writing and has contributed the afterword to the non-fiction publication “SHEconomy”, which explores the business potential of female leadership. Svendsen holds an MSc in Electronics from the Norwegian University of Science and Technology (NTNU) (1988), and a Master of Technology Management from NTNU and Massachusetts Institute of Technology, USA (1995). Hilde Midthjell is a serial Norwegian entrepreneur with a background in medicine and a distinct flair for business. Ms Midthjell is currently main owner and board chair of Dale of Norway, a clothing company that produces outdoor lifestyle gear. The company is perhaps best known for its trademark lusekofte sweater, which features traditional Norwegian design and weaving methods. It has also been the official supplier of sweaters for the Norwegian ski team and winter Olympics since 1956. 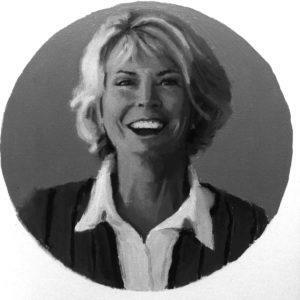 Prior to taking the helm at Dale, Ms Midthjell set up and ran a successful cosmetics company, Dermanor, part of the Dermagruppen group for more than 20 years. She sold the company for NOK 500 million. The cosmetics company now operates across the Nordics. She is also owner and chief executive of a series of companies, one of which is an investment firm through which she owns a controlling share of Dale of Norway and a minority stake in the sustainable tourism company Basecamp Explorer. A career board professional, Maija-Liisa Friman was named Finland’s most influential woman in 2005 and again in 2012 by the Finnish business publication Talouselämä. Ms Friman holds a master’s degree in Technology and began her professional career working with the Finnish chemicals group Kemira, including postings in Mexico and Savannah, Georgia in the US. She later took up the post of CEO at the Swedish plasterboard company Gyproc, before moving on to become chief executive at the power company Vattenfall and later Aspocomp Group. Ms. Friman is currently board chair of the Helsinki Deaconess Institute and the waste disposal and recycling company Ekokem. She is vice chair on the board of Neste Oil and is also a board member of teleoperator Telia-Sonera and the Finnish national airline Finnair. The board professional has also worked with companies such as engineering company Metso, the pension insurance company Ilmarinen and the metals manufacturing company Rautaruukki, among others. Olga Slutsker is the President of Russia’s largest fitness chain, Russian Fitness Group. A former athlete, Ms Slutsker and her husband set up a private fitness club in Moscow in 1993, World Class. The gym was the first of its kind in Russia at that time, and introduced all of the training and lifestyle methods now associated with fitness clubs across the world today. Ms Slutsker’s role at the time was that of investor, while franchise owner World Class Sweden managed the operation. However she later bought out franchise owner World Class Sweden and took over management of the company. Today, Ms Slutsker is the president of the entire chain, which has been ranked as one of the top 25 fitness chains in the world for the past eight years. World Class operates 50 gyms including 13 franchise outfits in Moscow and other large cities in Russia and CIS states. In 2014 Forbes magazine Russia ranked her the country’s 18th wealthiest woman with an estimated net worth of USD 100 million. A pioneer in industrial upcycling, Reet Aus has been experimenting with recycling in fashion and costume design since 2005. Ms Aus is also a lecturer and researcher at the Estonian Academy of Arts. She has partnered with a major Bangladeshi textile manufacturer to introduce upcycling to textile production to save resources, improve efficiency and reduce the environmental impact of the industry. That collaboration has seen the launch of her first upcycled fashion collective under the “Trash to Trend” banner. The label now works with 16 designers from around the world, who all aim to incorporate sustainable production processes with high fashion and design. Ms Aus has received widespread recognition for her groundbreaking work. Most recently she was voted Woman of the Year 2014 by the Estonian chapter of the International Federation of Business and Professional Women. In 2013 she was recognized by the Estonian Environment Ministry with an award for Environmental Act of the Year. Currently head of Barclays Technology Center in Lithuania (BTCL), Milda Darguzaite was the Director General of Invest Lithuania, the country’s foreign direct investment promotion agency. During her time at Invest Lithuania Ms Darguzaite attracted high-profile corporates to the country, including Barclays, NASDAQ and the multinational insurance company AIG. She also acted as advisor to the Lithuanian Minister of the Economy. 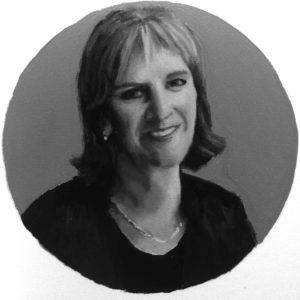 Educated in the US at Middlebury College and Princeton University, Ms Darguzaite spent seven years at the US investment banking firm Goldman Sachs, where she eventually became vice president of the Strategic Asset Allocation Team. Prior to that she was an analyst with another investment bank, Donaldson, Lufkin and Jenrette. Ms Darguzaite has become a prominent figure in Lithuania, where she has readily engaged in public discourse on issues such as equality and women in business, public sector efficiency and the need to tap into the Lithuanian youth diaspora. Ginta Cimdina is well-known by the crème de la crème of European energy circles, notably because of her role as chair since 2009 of Fortum Jelgava, the Latvian district heating operator of Fortum, a large Finnish energy company, which focuses its operations in the Nordics, Baltics, Poland and Russia. Formally educated in finance and environmental sciences related to the energy industry,Ms Cimdina has more than 20 years professional experience in the energy sector. She is an active representative of Fortum in many NGOs, including the Association of District Heating Companies in Latvia and the Latvian Renewable Energy Federation. She currently holds the position of vice chair of the Foreign Investors Council in Latvia (FICIL), a position she has held since 2012. 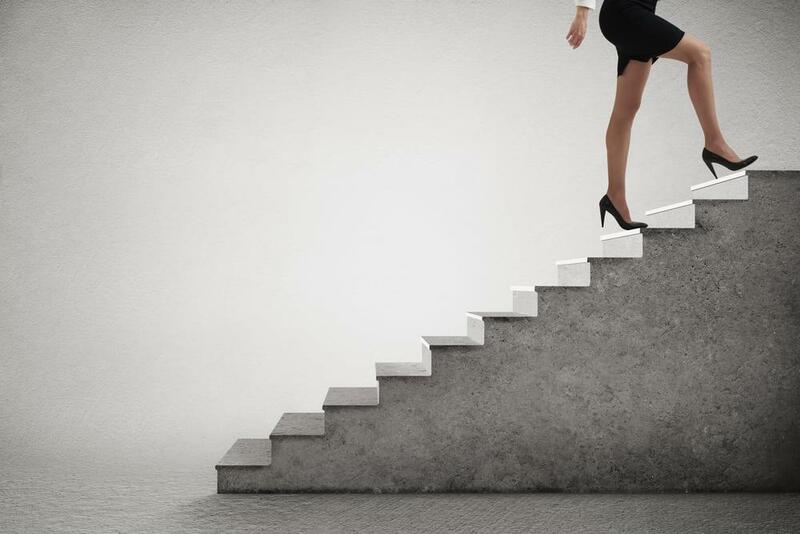 The ranking process proved that there are plenty of successful business women in Northern Europe. We’ve listed three runners-up from each country with impressive track records, but who did not make the top 20. Voted Entrepreneur of the Year 2012, businesswoman Ruth Oltjer drew on her medical training and professional background to set up Chemi-Pharm, a manufacturer of cleaning and maintenance and natural products. Since its establishment in 1997, the company has expanded sales across the EU, Russia, Eastern Europe and Asia from its headquarters in Tallinn. In 2014 Estonian President Hendrik Tuomas Ilves presented Oltjer with the Order of the White Star, a national award conferred for service to state, the public or local government. Ruth Oltjer has also distinguished herself in Estonia in her role as a public speaker and mentor. After completing her studies in business and fashion, London-based Kris Soonik-Käärmann decided to take her passion for fashion to the next level. Following the launch of her first lingerie collection in 2009, Soonik continued to innovate with her designs, resulting in her signature offering of lingerie as outerware and coining the term “loungerie”. Soonik’s designs can now be found on the racks of luxury retailers in 15 countries. In recognition of her accomplishments, she was named Young Female Entrepreneur of the Year in 2014 and also copped the prize for Fashion Designer of the Year during Tallinn Fashion Week in 2014. Soonik’s loungerie label has also firmly established itself in the annals of cool clothing, having been named one of the UK’s coolest brands for the second consecutive year by a panel of more than 3,000 consumers and style gurus. A career marketing professional, Katre Kõvask currently holds the position of chairman of the management board of Premia Foods, a Tallinn-based stock-exchange-listed food production company. Kõvask assumed the chairmanship in May 2013 after serving with the company as Marketing Director for seven years. The company currently operates in six countries and employs roughly 700. Prior to taking up her duties as head of marketing with Premia Foods, Kõvask worked with Nordic Foods and Ösel Foods, both major players in their industry. Kõvask has however indicated that she will leave Premia Foods in September 2015 to pursue new challenges. With her extensive impressive professional pedigree and extensive network, Anne Brunila is widely known in Finland as one of the country’s leading business dynamos. She holds a doctorate in Economics and Business Administration from Helsinki School of Economics and has held a number of high-ranking corporate positions, including chief executive of the Finnish Forest Industries Federation and as director general of the Economics unit of the Ministry of Finance. She has also held various positions at the Bank of Finland, the European Commission and the Labour Institute for Economic Research and is a current board member of Sampo financial group, elevator company Kone, the Nordic media group Sanoma and the pulp and paper company Stora Enso. Brunila has also contributed to training a new generation of business leaders through her involvement in academia. 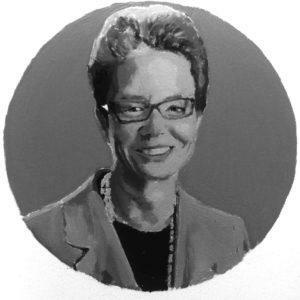 She is a member of the foundation board of Helsinki’s prestigious cross-disciplinary Aalto University, and has been a part-time “Professor of Practice” at the Helsinki-based Swedish-language Hanken School of Economics. Brunila was named one of the country’s most influential businesswomen in 2014 by the financial and business daily Talouselämä. An established board professional, Leena Niemistö is the current chair of the health care company HLD Healthy Life Devices. She is a concurrent board member of many major companies, including Finnish teleoperator Elisa, pension insurance company Ilmarinen, and the Finnish subsidiary of the Swedish bank Handelsbanken. 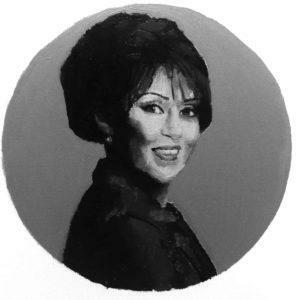 Niemistö skillfully combined her medical expertise with her sharp business acumen to acquire the medical services center Dextra, which she later built up into a highly profitable enterprise, and where she is currently chief executive. Niemistö also holds a parallel post as Deputy CEO and Senior Vice President of the private health care provider Pihlajalinna, which acquired Dextra in 2012. The medical industry specialist also plays a role in developing new business leaders as an investor focusing on startups in the health and welfare sector. Business heavyweight Jaana Tuominen currently leads the family-owned pan-European food and beverage group Paulig, which was established in Finland in 1876. Tuominen has been chief executive since 2008, and has been responsible for the company’s continued profitability. In 2014 net sales totaled 876 million euros and the company employed nearly 2,000 workers in 13 countries. Tuominen also serves on the board of other major companies such as national airline Finnair, the stock-listed manufacturing company Suominen, the metals manufacturer Rautaruukki and the Finnish Fair Corporation, which operates Finland’s largest exhibition and convention center, Messukeskus. Tuominen holds a Master of Science degree in Chemical Engineering from the Swedish-speaking Åbo Akademi University in Finland. Icelandic business powerhouse Birna Einarsdóttir has been CEO of Islandsbanki, or the Bank of Iceland since 2008, when it was demerged from its bankrupt parent company Glitnir following the Icelandic financial crisis. Prior to her appointment to lead Islandsbanki, Einarsdóttir had a long career with the institution, having served in a number of senior positions with both institutions. She previously lead Glitnir Bank’s marketing and sales operations and completed a successful re-branding in 2006. She has also worked with the Royal Bank of Scotland and the Icelandic Broadcasting Corporation. She sits on the boards of the Confederation of Icelandic Employers and the Iceland Chamber of Commerce. Her corporate accomplishments have been recognized by Iceland’s Association of Business and Economists in 2013 and by the Association of Women Business Leaders in 2011. Guðbjörg Matthíasdóttir’s business empire straddles many sectors in Iceland. 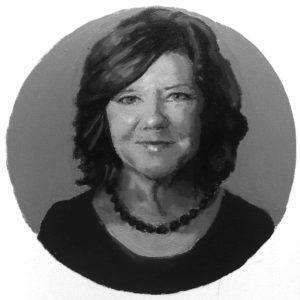 She has led the successful expansion of one of the country’s largest fishery and seafood processing companies, Ísfélag Vestmannaeyja, following the untimely passing of her co-owner husband in 2000. 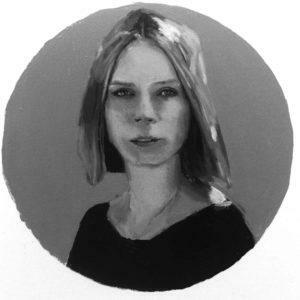 Matthíasdóttir’s reach also extends to the publishing industry by way of her stake in Reprints (Arvakur) owner of a number of print and online titles, including the major Icelandic daily Morgunbladid. Her other business interests lie in the insurance and wholesale trades. A teacher by profession, Matthíasdóttir was honored by the Association of Women Business Leaders in 2005 for her contribution to local business. 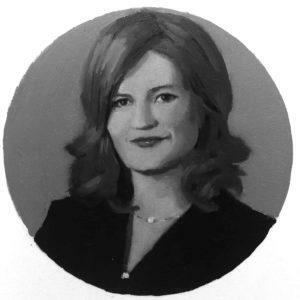 Ásthildur Otharsdóttir has distinguished herself on the Icelandic business scene, partly as an independent consultant with a rich background in corporate finance. She has held the roles of global head of Treasury and Corporate Development at the orthopedic equipment manufacturer Össur hf, Senior Account Manager at Kaupthig Bank and Consultant with the US and Danish operations of the global management consulting firm Accenture. Otharsdóttir is currently chairman of the board and part owner of Marel, a publicly-listed company producing equipment for the food processing industry. She recently joined the board of Frumtak Ventures, Iceland’s leading venture capital firm. She also holds board positions with a number of companies and organizations such as of Icelandair Group, marine energy management Marorka, the Research Center for Business Ethics at the University of Iceland and the Court of Arbitration of the Icelandic Chamber of Commerce. In just seven years young designer and entrepreneur Inese Ozola has been able to place her Amoralle brand firmly on the international high-fashion map. Her collections, which currently focus on women’s intimates and loungewear have already been flagged for their resonance with global haute couture by industry gurus writing for well-known publications such as Vogue Italy, Marie Claire Italy and Cosmopolitan Russia. This fearless designer has been able to successfully combine her creativity with a sharp business acumen to develop a company that doubled sales to nearly a quarter of a billion euros between 2012 and 2013. Amoralle currently has close to 20 independent stores in leading fashion markets such as the US, Britain, France, Germany, Australia, Russia and Saudi Arabia. Innovative and fashion-forward designs have propelled Elīna Dobele to the forefront of the Baltic footwear industry. In 2010, Dobele drew on her background in architecture to establish ZoFA, Latvia’s first atelier brand for limited-edition hand-crafted shoes for men and women. Since then, she has grown to become one of the best-known names on the Latvian design scene. Her retail network has expanded to Europe and Asia and her unique footwear can be found in highly competitive markets such as Britain, Germany, Russia and Japan. Dobele describes her studio as a space that links design, sustainable business thinking, the art of traditional shoe-making and the local community in a comprehensive and thoughtful process. A true education crusader, Austeja Landsbergiene is the mover and shaker behind Lithuania’s first and foremost chain of early childhood education centers, Vaikystės Sodas. Established in 2011, the company has grown rapidly and posted revenues in excess of two million euros by the end of 2014. As a result of her progressive approach to early childhood education, Landsbergiene has been called on to provide consultancy services to the Lithuanian government and various educational institutions. The holder of a doctoral degree in educology and mother of four is an ardent blogger on education issues and has authored two books on parenting. She is also a highly sought-after public speaker who appears frequently at seminars, workshops and education conferences. Stock market expert Arminta Saladziene currently leads the NASDAQ Baltic stock exchange and is also President of the local stock market in Vilnius, Lithuania. Saladziene holds complementary roles as chair and member of the management board of the Vilnius Stock Exchange and serves as head of the organization’s Market Development unit. Saladziene is credited with having played a central role in influencing the decision to establish a NASDAQ center of excellence in Vilnius. Saladziene’s interest in grass roots advocacy has also seen her help set up and chair the Baltic Institute for Corporate Governance, a regional NGO. She has also championed the cause of women in business and penned an introduction to the Lithuanian section in the highly-popular work, “Lean In”, by Facebook COO and business guru Sheryl Sandberg. The brainchild of co-founders Milda Mitkute and Justas Janauskas, Vinted is where the power of mobile applications meets clothes-swapping. Established in 2008, the innovative community-based clothes exchange quickly grew to attract eight million members worldwide by April 2015. The company had an estimated 14 million listings in January 2014, representing affiliates in the US, the UK, Germany, France, Austria, Poland, the Czech Republic and Lithuania. Vinted successfully raised around USD seven million in funding in 2013, followed by an additional USD 27 million one year later in 2014. Mitkute has presided over the company’s expansion since start-up and currently serves as head of performance marketing. Vinted was involved with the launch of Facebook’s in-app mobile ad network, potentially providing the company with a rich seam for attracting more members to its digital second-hand clothing clearing house. Ranked Norway’s most powerful business woman in 2008 and 2009, Gunn Wærsted has often criticized what she sees as the stigmatization of women in management positions, and has called for a focus on women’s performance as leaders. Wærsted has held a number of prominent positions in finance and banking and currently serves as chief executive of Nordea Bank Norge ASA. 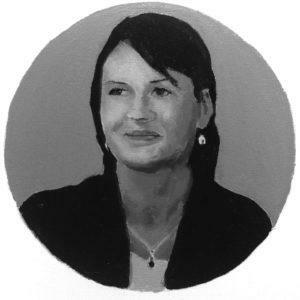 She is also Head of Wealth Management, Executive Vice President and Country Senior Executive of Norway at Nordea Bank AB and has been its Member of the Executive Board since 2007. She currently holds numerous board positions with companies operating mainly in the financial services sector. Wærsted is a business economist, having received an MBA from BI Norwegian School of Management. She also holds a M.Sc. in Business. CEO of the Government Pension Fund in Norway, Folketrygdfondet, Olaug Svarva manages in excess of NOK 183 billion (EUR 200 million) in the national insurance fund. She has served in the position since 2006 and has had a long and distinguished career in the investment sector. 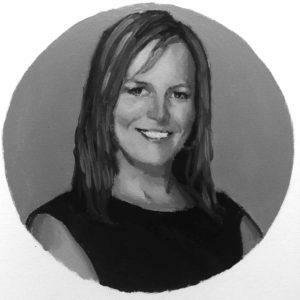 She holds Bachelor’s and Master’s degrees in Business Administration from the University of Denver, and is also an authorized portfolio manager. Svarva originally joined Folketrygdfondet in 1991 as a portfolio manager before becoming Equities Investment Director in 2001. After a brief period during which she joined Sparebank as Managing Director, Svarva returned to Folketrygdfondet in 2006 to take up the post of CEO. She has been chair and member of the corporate Assembly of the Norwegian energy company Statoil since 2007, is vice chair of the corporate assembly of telecoms company Telenor, member of the nomination committee of building contractor Veidekke and member of the supervisory board and nomination committee of Storebrand financial services company. Currently Executive Vice President of Technology, Projects and Drilling at Norway’s Statoil Group, Margareth Øvrum has held the position since 2004 and was Statoil’s first female platform manager. Øvrum has been an Executive Vice President of Technology & Projects at Statoil ASA since March 2005. She joined Statoil in 1982 to work on strategic analysis and has since held management positions in in purchasing, production, projects, health, safety and the environment. An engineer by profession, Øvrum received a degree in Technical Physics from the Norwegian Institute of Technology. 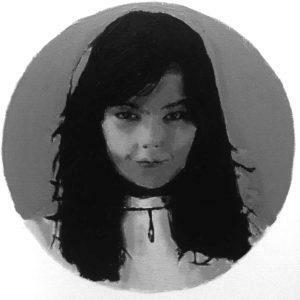 In 2013, Øvrum was voted the first Most Influential Woman in Technology in commemoration of the 100th anniversary of universal suffrage in Norway. 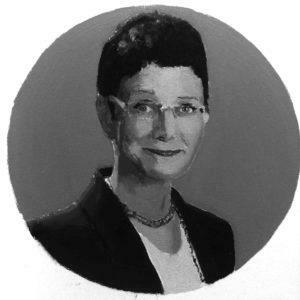 She is also a seasoned board professional who has served with Atlas Copco AB since April 2008, as well as the University of Bergen and the Norwegian Research Council. She was also Independent Director at Ratos AB since April 2009 and a member of the Board of Representatives at Storebrand ASA. Natalia Sindeeva is the founder and general director of the Moscow-based independent TV channel TV Rain, which launched in 2009. The transition to television was preceded by considerable experience in radio as Sindeeva was the co-founder and general producer of the FM radio station Silver Rain, which took to the airwave in 1995. Under Sindeeva’s guidance, both the radio and television projects occupied a unique niche – on radio, she spearheaded the anti-award “Silver Shoe” to recognize dubious achievements. A graduate of the Stockholm School of Economics in Russia, Sindeeva has twice been recognized as Russia’s foremost media manager for her work on radio in 2004 and in television in 2011. TV Rain’s partner media include online business daily Slon and the weekly city magazine Bolshoi Gorod. Irina Prokhorova, literary critic and cultural historian (PhD), studied English and American literature at the prestigious Moscow State University in the Soviet era. In 1992 she established New Literary Observer, or NLO, one of the first intellectual journals and publishing houses in independent Russia. She was awarded a State Prize of the Russian Federation in 2003 by then-President Vladimir Putin, honoring NLO as the country’s Best Educational Project. 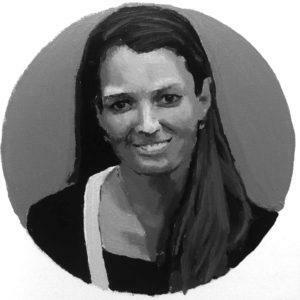 In 2004, she co-founded the philanthropic organization Mikhail Prokhorov Foundation, named after her brother to support culture and civil society. It spends an estimated RUB 400 million, or USD 13.6 million, a year. In 2005 Prokhorova received the French award Chevalier de l’Ordre des Arts et des Lettres and in 2006 became a laureate of the Andrey Bely prize for literature, Russia’s oldest independent literary award. Later, in 2012, she was decorated as a member of Legion of Honor, the highest award conferred by France. A graduate of the prestigious Harvard Business School in the US, Julia Solovieva currently holds the position of Director General of Google in Russia. Prior to her appointment to lead the global search giant’s operations in Russia, Solovieva held a number of prominent positions in various companies including the management consulting, media and mobile sectors. She briefly held the position of Managing Director of the management consulting firm Alvarez and Marsal before joining Google. Solovieva held the positions of deputy CEO and President of the Gazprom media between 2007 and 2011. She was also Executive Director and General Manager of Telecom Express, a London-based startup specializing in mobile and interactive media solutions. In 2013 the Russian online technology and IT publication CNews named Solovieva one of the eight leading women in the country’s overwhelmingly male-dominated IT sector. H&M’s Helena Hendersson was already celebrated in her role as Chief Sustainability Officer at the clothing giant when she took up the challenge of leading the company’s global production operations in January in 2015. In 2014, the Swedish business magazine Veckans Affärar dubbed her the country’s most powerful businesswoman in recognition of her work in promoting sustainable business practices. Widely known as a high-octane achiever, Hendersson has been credited with pushing through a number of important initiatives such as promoting water conservation in textile production, garment recycling, and wage sustainability in the supply chain. Hendersson’s new role as global head of production isn’t entirely unfamiliar territory, however. The H&M career professional worked in production before transitioning to sustainability in 2010. Her background in both fields, as well as her extensive network and influence will continue to make her a pioneer in incorporating sustainability into the customer offering. Swedish-American businesswoman Cristina Stenbeck sits atop one of Sweden’s largest family-controlled companies. 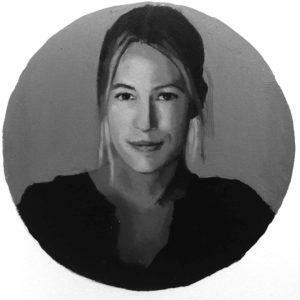 She is the principal owner and executive chairman of Investment Kinnevik, a company that invests primarily in technology-based services for consumers. Kinnevik has major holdings in roughly 50 companies operating in over 80 countries, with a distinct focus on growth markets. Its largest stakes are in companies such as teleoperators Tele2 and Millicom, online shoe and clothing retailer Zalando, online startup builder Rocket Internet, and Swedish digital entertainment company Modern Times Group (MTG). 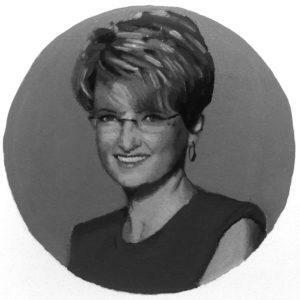 Stenbeck began honing her leadership skills when she joined the board of Invik & Co, a subsidiary of Kinnevik at the time. She took over the leadership of the group as vice chair in 2003 and became chairman in 2007. During her time at the helm, she has consolidated ownership of the group, divested non-core businesses and streamlined the corporate structure, while expanding its global investment network. Formerly CEO of the medical technology company Episurf, in 2009 Nina Bake became the youngest woman to take on the role of chief executive with a stock-listed company. She went on to serve in the position for six years until 2015. Bake’s professional expertise lies in project management for innovation ventures, a skills set she used to great advantage at Episurf and with her previous employer, Diamorph, a mechanical and industrial engineering company. During Bake’s time at the company, Episurf pioneered the treatment of orthopedic complaints, particularly joint injury or conditions, with patient-specific 3D-engineered implants. 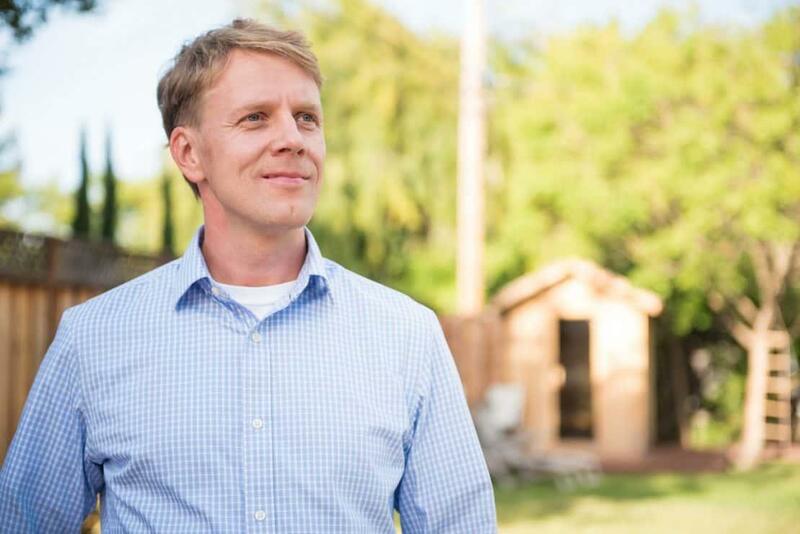 Bake holds a degree in Industrial Management with a focus on life sciences and entrepreneurship from the Chalmers School of Entrepreneurship. Ranking Criteria: The essential criteria for evaluating possible candidates were: results achieved, impact on industry and society, originality and practicality of ideas and social and environmental responsibility. International outlook and future potential were other major considerations for the ranking. The 23 jury members that compiled the ranking were gathered from different organization representatives of each nine countries. Each member organization of the jury submitted a list of candidates from their own countries, following which work began on the evaluation of nominees from all nine countries.